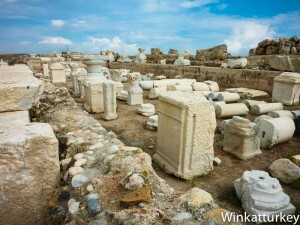 Laodicea was one of the wealthiest cities in Asia Minor, comparable in population to Ephesus. Located on a major trade route, it was known for its financial institutions, its fine black wool and its medical school. In the Book of Revelation the church of this opulent city is criticized because of its lukewarm Faith. The remains of Laodicea are very close to Pamukkale and they are one the places where archaeologists are working harder . Although there were already settlements in that place long before, the city was founded in the time of the Seleucid Empire, that inherited the conquests of Alexander the Great. 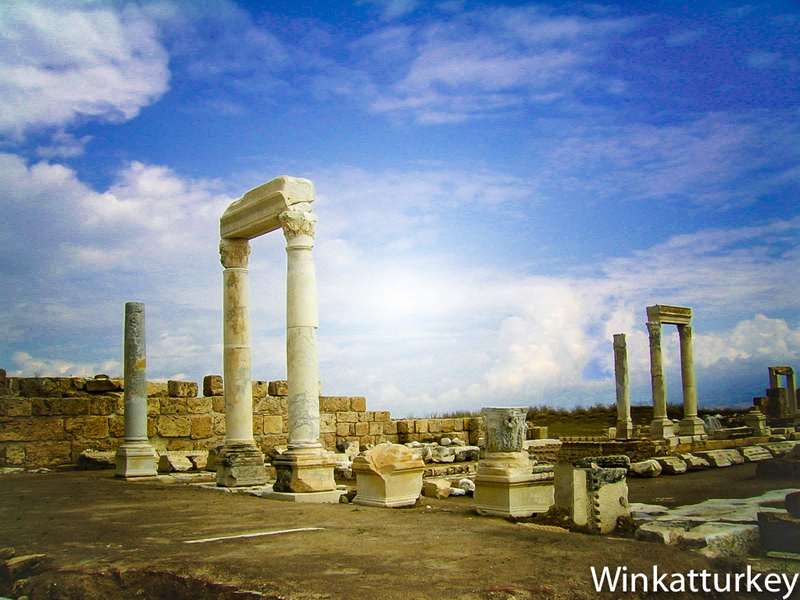 Laodicea was named after Laodice, the wife of King Antiochus II, who ordered to build the city between 261 and 245 AC. 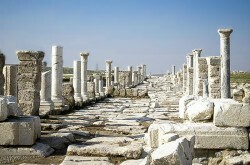 Due to its location, Laodicea prospered rapidly. Today it is estimated that the city once had a population of 150.000 people, when important cities of the time were between 40 and 50.000. During the Roman Empire the city reached its peak. Nearby was the city of Hierapolis, the well-known center of summer rest of the epoch that some centuries later we know as Pamukkale Pamukkale. Laodicea was destroyed by an earthquake in 60 but its rich inhabitants rejected the imperial support and rebuilt the city themselves. In Laodicea there was a remarkable Christian community that is mentioned several times in the New Testament. There is even a controversy about a lost letter of Paul to the Laodiceans. However the most notable is the express mention made of the city in the Book of Revelation when it is criticized for its lukewarmness and Laodicea is addressed the famous sentence “you are lukewarm, neither cold nor hot, and so I will spew you out of my mouth”. 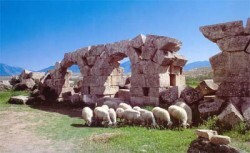 The ruins of Laodicea are about 10 Km from Pamukkale towards Denizli. They are not the best preserved, but the constant excavations and the determination to regain the place shown by the authorities in the area are significantly improving the site. 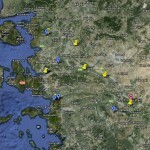 Strangely, there are some organized tours to visit Laodicea together with the rest of the 7 Cities of Revelation while other tourists are not even aware that they are going through the entrance to the city when they go to Pamukkale. 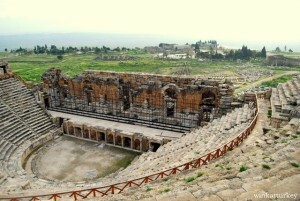 In Laodicea they founded forums, bathrooms, an amphitheater and a stadium. The place is nice to visit but in summer the high temperatures make it imperative to use head garment and protective sunscreen. 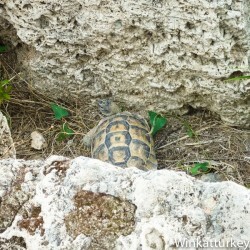 Among the ruins we can see Mediterranean tortoises of the same species that is endangered in other countries in the region, Spain among them. It is a joy to see them move freely in their natural habitat. The city had a curious aqueduct that supplied water and whose remains can also be visited. Its peculiarity consisted in using a siphon to cross one of the valleys of its route. 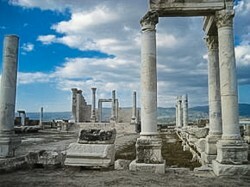 Laodicea changed hands several times between Turks and Byzantines during the Middle Ages. 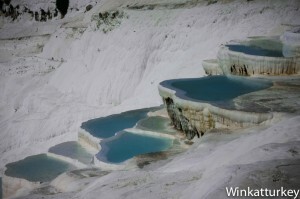 Wars and frequent earthquakes eventually cause the abandonment of the place it is today one of the prides of the neighboring capital of Denizli and that is essential in our visit to Pamukkale.